Want a refreshing way to color your nails and always feel good about it? 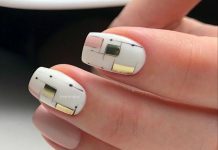 If your answers is yes, then we may have something right here that would satisfy the longing for that cool nail design. Mint green, as the name suggest, has this very cool and soothing effect to the eyes. It is neither too light nor too dark of a polish that is why accessorizing the nails with this as base can also go both ways. Painting over mint green polish is best done in white and black. 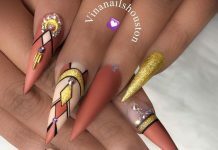 This nail art design are suitable for the prevailing season and of the next because it represents both coolness of winter and the misty mornings of spring. Enjoy a few of this bubble-gummy nail art treats we have in store for you ladies out there today. The mint green polish is readily available anywhere so this designs are very easy to obtain. 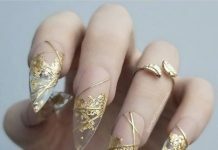 You just need the enthusiasm and perkiness to add that “sparkles” to make your nails glamorous and oh so awesome.